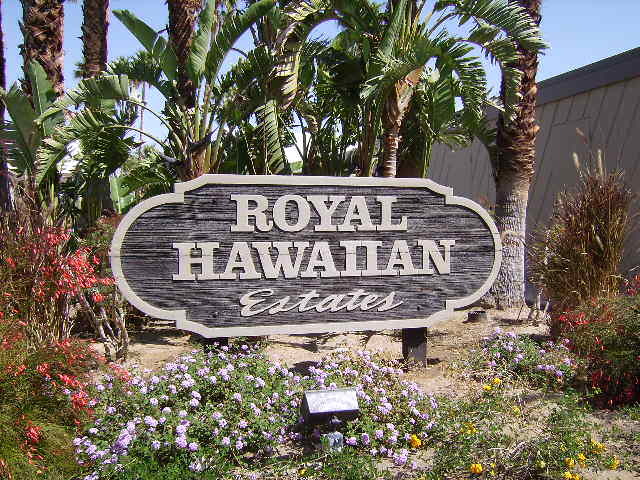 South of Palm Springs proper past the beautiful neighborhoods of Bella Monte, Cahuilla Hills, Canyon Vista Estates and Alta you will find a treasure trove of natural beauty in this series of canyons. Bring layered clothing, good walking shoes and plenty of hydration. There is an admission fee but it is well worth it to see this area. Wear plenty of sunscreen and keep your eyes open for snakes and lizards - but most of all enjoy this amazing natural resource. 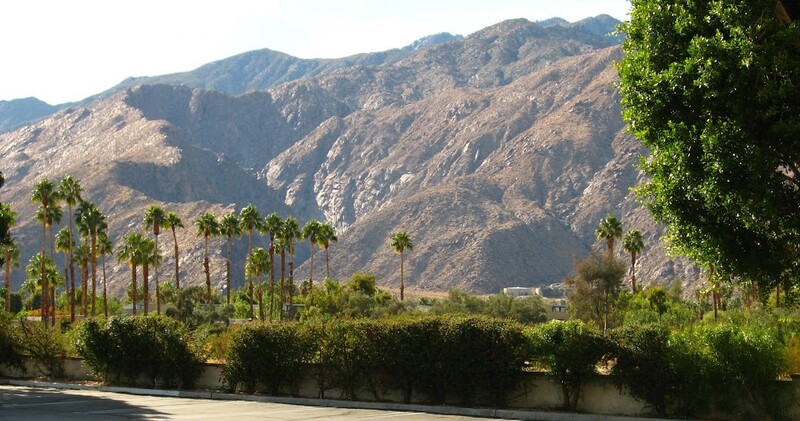 Palm Canyon: Fifteen miles long, Palm Canyon is one of the great beauty spots in Western North America. Its indigenous flora and fauna, which the Cahuilla people so expertly used, and its abundant Palm Trees are breathtaking contrasts to the stark, rocky gorges and barren desert lands beyond. A moderately graded, paved foot path winds down into the canyon for hiking, picnicking near the stream, meditating, exploring, or horseback riding. 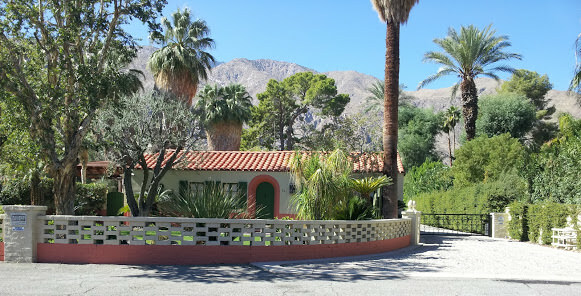 While in Palm Canyon, visit the Trading Post for hiking maps, refreshments and Indian art and artifacts. Arrangements for hiking tours can be made at the Palm Canyon Kiosk. 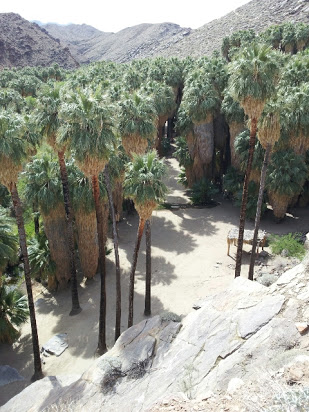 Andreas Canyon:The contrasting greens of the magnificent fan palms and more than 150 species of plants within a half-mile radius beckon the desert-weary traveler to this lush oasis. A favorite trail leads through the canyon, passing groves of skirted palms, unusual rock formations (some containing Cahuilla rock art) and the perennial Andreas Creek, where one can still see bedrock mortars and metates used centuries ago for preparing food. This tranquil setting is excellent for hiking, photography, bird-watching or a picnic along the trail. Murray Canyon: Murray is an easy hike south from Andreas Canyon. 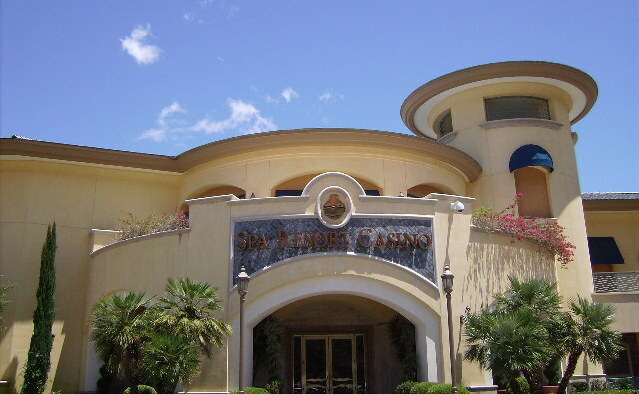 Foot and equestrian trails lead to beautiful recreation areas among the many palm trees. Lucky visitors may catch a glimpse of the peninsula Big Horn Sheep (an endangered species) or other wild animals still roaming the high ground above the canyon. Murray Canyon has its own secluded beauty and is one of the least visited areas; and there are endangered birds nesting here. Tahquitz Canyon: – A National Landmark and one of the most beautiful and culturally sensitive areas of the Agua Caliente Reservation, Tahquitz Canyon is home to a spectacular 60-foot waterfall, rock art, ancient irrigation systems, native wildlife and plants. Located at the entrance to the canyon, the Tahquitz Visitor Center offers hiking tours, educational and cultural exhibits. The Center has an observation deck, garden, picnic area and a theater with a film that narrates the legend of Tahquitz Canyon. Canyon Hiking tours can be arranged depending on the season. Visit www.tahquitzcanyon.com.  8500 S Palm Canyon Dr, Palm Springs, CA 92264 (760) 323-6018.